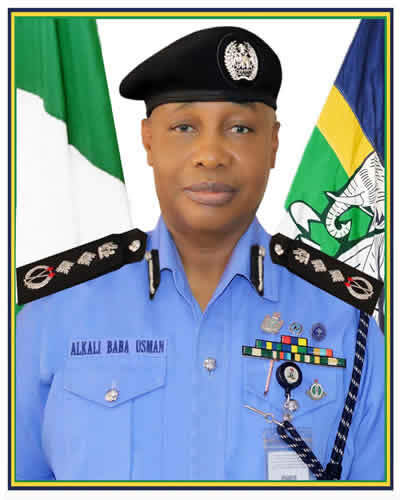 SPEECH DELIVERED BY THE INSPECTOR-GENERAL OF POLICE, Ag IGP MUHAMMED ABUBAKAR ADAMU, NPM, mni, ON WEDNESDAY, 16TH OF JANUARY, 2019 AT THE NIGERIA POLICE FORCE HEADQUARTERS, ABUJA. It is with total reverence of the Almighty Allah (SWT) and deep appreciation of President Muhammadu Buhari, the President of the Federal Republic of Nigeria who considered me worthy of appointment that I humbly address you today as the 20th indigenous Inspector General of Police. My appointment represents a call to duty and a charge to restore the dwindling primacy of the Nigeria Police Force within the internal security architecture of our beloved country. 2. Ladies and gentlemen, commanding the largest Police Force in Africa, particularly, at this crucial time that the country is faced with multi-faceted security challenges and at the peak of preparations for the general elections, is undoubtedly an arduous task. However, it remains a fact that the Force is blessed with some of the finest officers anywhere in the world that are not only intellectually gifted and exceptionally dedicated, but professionally sound enough to surmount these tasks if the right leadership is provided. 4. It is my firm conviction, therefore, that if the quality personnel potentials of the Force are blended with purposeful and motivational leadership at strategic levels within the organizational hierarchy of the Force, the lost glory of the Nigeria Police Force which remains a concern to governments at all levels, citizens, human rights groups, the international community and indeed well-meaning officers and men of the Force shall be restored. 5. With my appointment and assumption of duty, i am determined to draw on my national and international policing leadership experience to bridge this missing link. I assure you on this day that I will provide the highest possible level of professional and responsible leadership for you while trusting that you shall march hand-in-hand with me as dependable professional colleagues, to advance the fortunes of the Force. I demand that you henceforth resolve to abstain from conducts that will drag the Police into disrepute and put your career in jeopardy, and join me in the common course of changing the narratives of policing in the country for good. In giving effect to this, in the coming days, I shall unfold before you and the nation the strategic focus of my leadership. 7. These national engagements are of immediate priority to my leadership and, hence, in the next few days, the nation shall witness concerted police deployments and other activities which will all be directed at ensuring quality election security service delivery by the Police, being the lead agency in election security management. While with your support, I am confident that we have the operational capacity to ensure the success of both exercises, i am not unaware of the possible security threat that some misguided political actors and their followers may attempt to pose during the general elections. 9. To the unrepentant felons that may want to put our common will to test, the message is being relayed here loud and clear that in securing the law abiding citizens during the elections, we shall not hesitate to deploy our potent assets to deal firmly and decisively with electoral deviants. Consequently i call on political actors to assist the Police and other law enforcement agencies in sustaining the gains recorded in our democratic journey. They should always remember that politics is a game guided by rules and it behooves them to play the game within the dictates of such rules. On our part, we assure the nation of our determination to play our roles fairly but firmly towards guaranteeing a peaceful electoral process and a credible outcome. 12. Finally, on behalf of the Nigeria Police Force, I immensely thank our out-going IGP Ibrahim idris for his professional service to our Fatherland and wish him a very fulfilling future engagement. I can assure him that much as he is leaving the police institution, we shall not allow him leave the Police Family as we shall continue to disturb his retirement in order to draw from his rich fountain of professional knowledge. To you, my officers and men, I call on you to continue to support me with prayers and informed pieces of advice so that this journey we are commencing together today shall lead us to the desired destination. Visitors:3832 Copyright © 2019 Powered By Department of ICT, Nigeria Police Force All Rights Reserved.